Cuts around the side of the can to eliminate sharp and dangerous edges, creating an easily resealable lid with a smooth edge. Great for keeping food covered while preparing a meal. 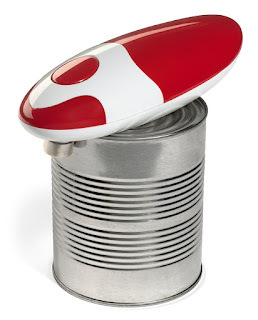 Place the opener on the top of the can, press the button and watch the can opener do all the work. 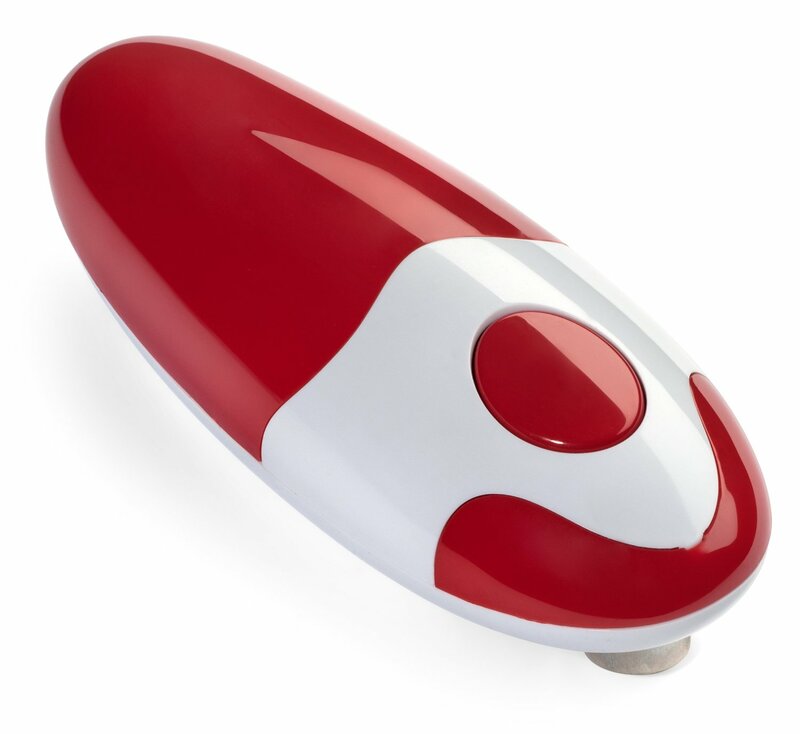 The can opener will attach itself to the top of the can and go around 360 degrees. When it has made a full circle press the button again, and the device will turn off. 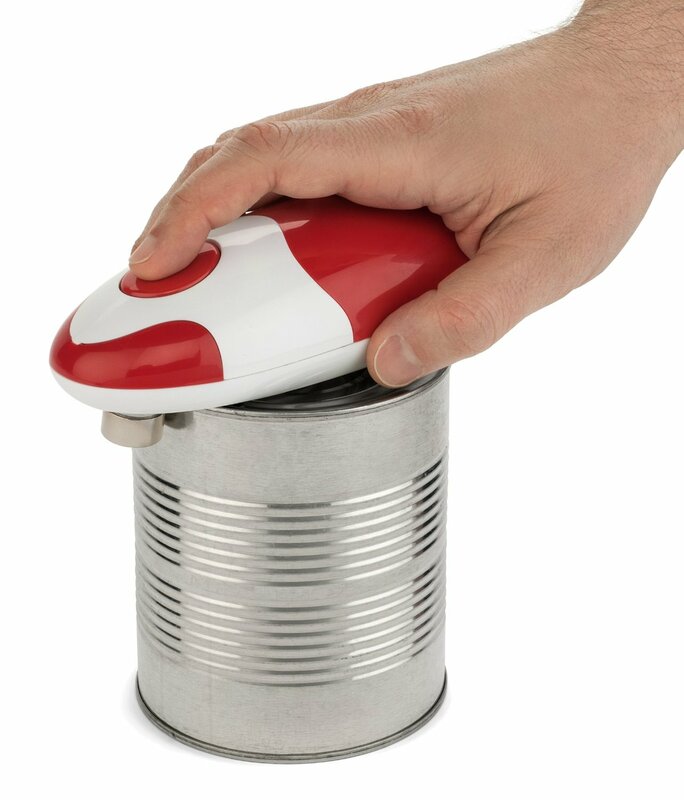 Lift the can opener along with the resealable lid and enjoy your food. The lid is cut on the side, making it easier to store your opened canned goods, keeping them covered and closed till ready to use. I was happy to get to try Bartelli Soft Edge Automatic Electric Can Opener. I like an electric can opener rather than a manual opener so I was eager to give this one a try. It requires 4 AA batteries to use it. I like that it is not very heavy and not very big. It fits nicely in my hand which makes it easier for me to use. I love that it does not create a sharp edged or tear up the can label while it opens the can. I also like that it creates a resealable lid. It is easy to wipe clean and stores easily in my kitchen drawer. It is nice that I can use it with one hand and start/stop with a push of a button. I think this would make a nice gift for anyone who has trouble using a manual can opener. I think it is a nice safe alternative to openers that leave a sharp edged lid.